A big shout out here to my talented sister Patricia, who you can find over here on the Unwindly Slowly blog. A few years ago Patirica started clack-clack-clacking with her knitting needles... just a hobby, just for fun. 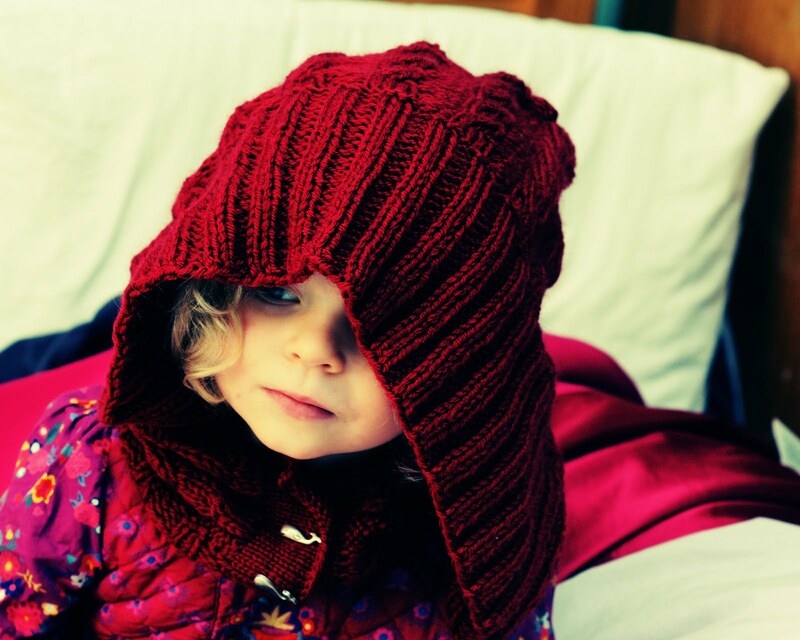 Within months she was brilliant and swiftly moved onto to creating her own artisan designs. In 2010 she started to make those designs available through Ravelry, the knit and crochet community. Now they are being downloaded by dozens of people anxious to re-create her beautiful work. 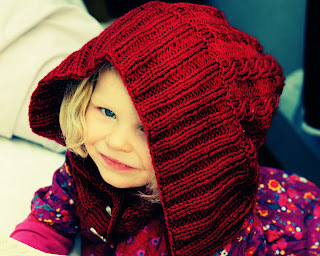 Cora and I were given a real treat this December when Patricia presented us with two gorgeous and snuggly hoods, mine in rich plum purple and Cora's in deep blood red. I decided that the least I could do to say thank you was to create some images of her designs. I'm planning a fashion shoot later this month, but in the mean time here is one of her beautiful hoods. If you are interested in downloading one of her six free patterns (there are others available for purchase) they can be found on Unwinding Slowly, which is always a pleasure to read. Feel free to pass the pics onto Kalurah! Just lovely. 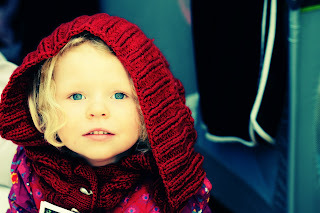 I haven't yet mastered a scarf, so perhaps I will have to wait to download my free pattern!